Are you looking to get the biggest “bang for your buck” for your vacation? Would you like to pay one up front price and then not have to worry about every little expense while away? If so, then the all inclusive vacation concept is for you. But what does all inclusive mean exactly? Hotel taxes, tips, and sometimes airport transportation! Additional services and amenities may be included depending on which resort you choose to stay at. Couples Swept Away in Jamaica, for instance, includes a complimentary sunset catamaran cruise in every stay! What’s included in an all inclusive vacation? Rooms and suites at an all inclusive resort are designed with plenty of space for maximum comfort. Many of them feature a private balcony or terrace so you can enjoy gorgeous views such as lush gardens and sparkling ocean waters. In-room amenities often include a mini bar, coffee maker, whirlpool tub, television, plush bathrobe and slippers, and more. Room categories can range from standard to multi-room or even multi-level suites, villas, and penthouses. Swim-out suites feature direct pool access and personal butler service is available to guarantee your every need is met. All inclusive vacation packages work food and drinks into the total cost of the trip. This means you’ll have breakfast, lunch, and dinner either buffet-style or a la carte. 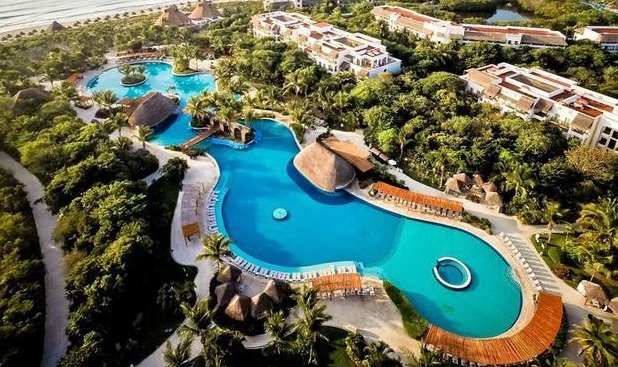 Some brands like AMResorts don’t require reservations at any of their dining venues while others like Iberostar ask that you book a reservation at certain places. In addition, resorts normally feature a beachfront restaurant, snacks, and the convenience of room service. If cuisine is a major concern, be sure to do your research beforehand so you can get most of what you’re paying for. When we say drinks are included, we mean it. Resorts provide a selection of international and domestic brands, which can be enjoyed with meals or at various onsite bars and lounges. Plus, don’t forget that your in-room mini bar will also be fully stocked so you always have a refreshing beverage within reach. The inclusions can vary from resort to resort, but rest assured there will be plenty to do on your all inclusive vacation. 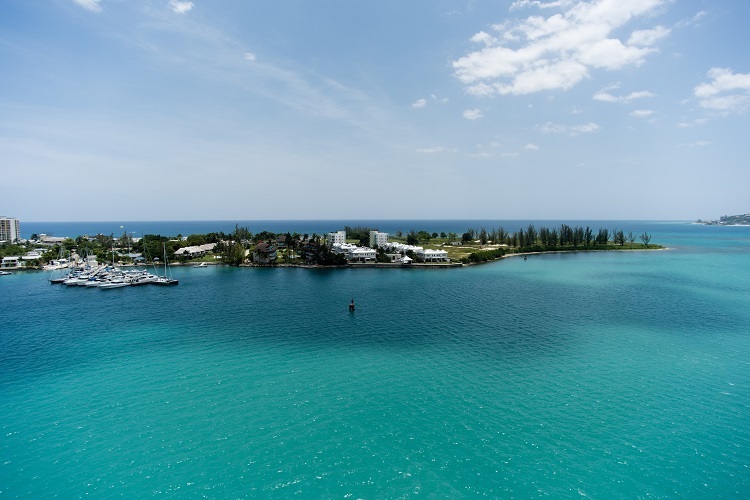 Typically, you’ll have access to non-motorized water sports like kayaking, windsurfing, and paddle boarding. Other activities that may be included are cooking classes, beach volleyball, tennis, dance lessons, yoga, and more. Family-friendly resorts also feature designated activities for kids and teens. If you don’t mind the additional fees, you can also partake in golf, scuba diving, catamaran sailing, offsite excursions, and of course, pampering at the spa. When the sun goes down, you can count on the fun to continue. As part of your stay, you may enjoy evenings dancing or singing karaoke with friends. Live music and shows are a must while some resorts offer theme parties and movies on the beach. Gratuities (tips). You may find that the total cost of your all inclusive vacation already has gratuities factored in. Just remember that this isn’t always the case. While yes, tipping is usually seen as optional, it’s never a bad idea to leave them as necessary. You’re showing your appreciation for the services you received, whether it’s from waiters, bartenders, or housekeeping. Depending on where you go, you may even find a strict “no tipping” policy which prevents hotel employees from accepting tips from guests. Be sure to read the fine print on your resort’s website or even give them a quick call to ask about their policy. Airport transfers. If you decide to book your resort and flights as a package, you may also have the option of adding in airport transfers. This way you can take care of the cost without worrying about it when you arrive to your destination. 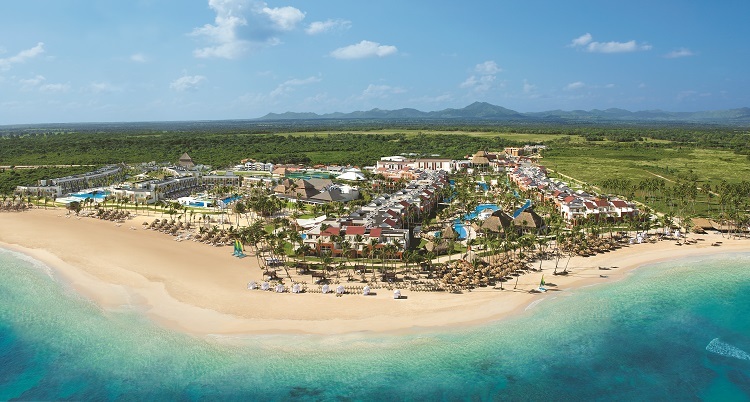 With so many all inclusive resorts located across Mexico, the Caribbean, and beyond, you may not know where to start. If you need a little inspiration, we’re here to help! 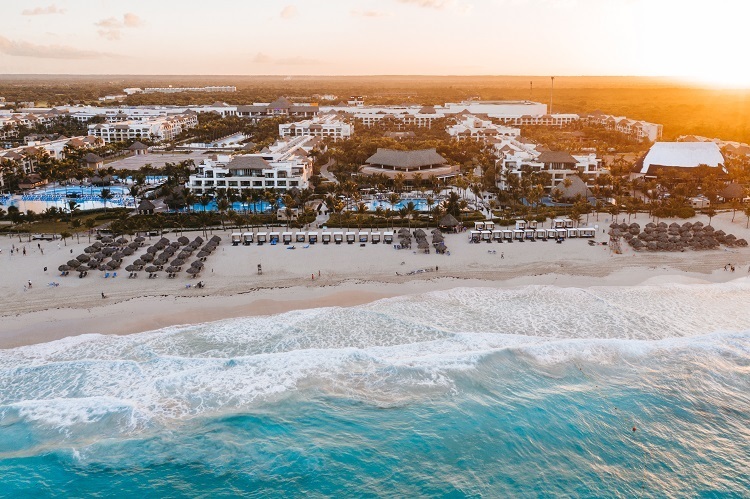 Popular beach vacation destinations include Riviera Maya, Cabo San Lucas, and Cancun in Mexico, Punta Cana in the Dominican Republic, and Negril and Montego Bay in Jamaica. 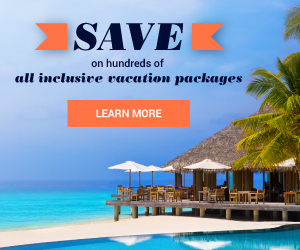 You can also book your all inclusive vacation to a Caribbean Island like Aruba, Curacao, the Bahamas, and more. Picking the right all inclusive resort will come down to your interests, budget, and who you’re traveling with. Multi-room accommodations, water parks, and hang out spots for kids and teens are great for families. Couples will be treated to romance in paradise with private beachfront dinners and in-room Jacuzzi tubs. If you’re booking a vacation with friends, you’ll enjoy thrilling offsite excursions to explore your destination. Many resorts are located close to championship courses for golfers who want to play a leisurely game in paradise. Travelers who seek pampering and relaxation will find that most, if not all, resorts feature beautiful spas that offer an extensive menu of treatments and service. Just keep in mind that these specific activities may come at an additional cost. We want to make sure you enjoy a quality beach vacation without having to compromise your budget. Our Best Price Promise aims to give you the lowest prices available. 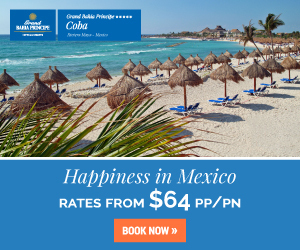 Browse our Hot Deals page to see what we’re currently offering on vacation packages to Mexico, the Caribbean, and other destinations. If you find that your preferred travel dates and destination are cheaper elsewhere, we’ll match that price so you receive the best deal! Once you’ve decided on your destination and resort, all that’s left to do is book your trip. Everything can be done through our website where we make the booking process simple and straightforward. You’ll select your travel dates, which room category you wish to stay in, and flights. You can also add airport transfers and travel insurance to your package so that everything is worked into one total price. We’re always here to help, so don’t hesitate to give us a call. We’ll answer any questions you may still have, whether it’s before or after you book your vacation, so you can jet off without any worries. This oceanfront resort in Riviera Maya offers a luxurious adults-only experience for the modern traveler. Spacious suites feature lavish amenities like hot tubs, mini bars, living areas with sofas, and more while swim-outs provide direct pool access. You’ll find plenty to do throughout your stay with non-motorized water sports, tennis, beach volleyball, Mezcal tasting, and other activities. Visit the fitness center for a heart-pumping workout then unwind at the spa and ease your muscles with a massage. Gourmet dining options range from Latin fusion cuisine and other international flavors to grilled specialties and pub-style favorites. And don’t forget there’s a refreshing drink always waiting for you at one of the resort’s unique bars. Book and SAVE on your vacation: El Dorado Seaside Suites packages are available at All Inclusive Outlet. 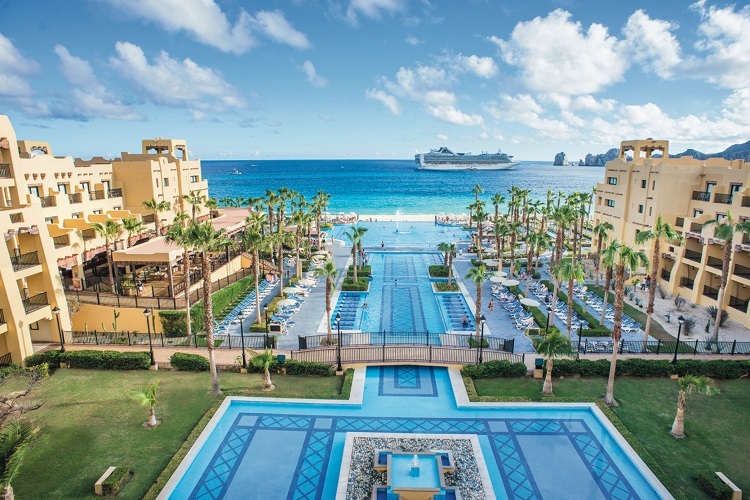 The adults-only Riu Santa Fe is located on the swimmable Medano Beach in Cabo San Lucas. Guests will be treated to modern comforts in the resort’s rooms and suites. Step onto your private balcony or terrace to take in the beautiful scenery, enjoy a drink from your mini bar, or see what’s playing on your satellite TV. When hunger strikes, you’ll enjoy breakfast buffets, gourmet restaurants, and a range of snacks and appetizers, plus your favorite drinks. 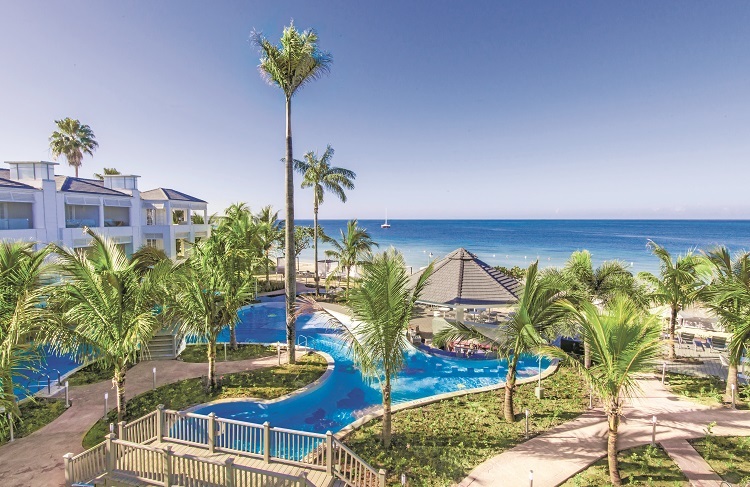 Themed RIU Pool Parties feature live music and eye-popping shows so you can celebrate your getaway in style while a host of sports and activities keep the fun going for hours. 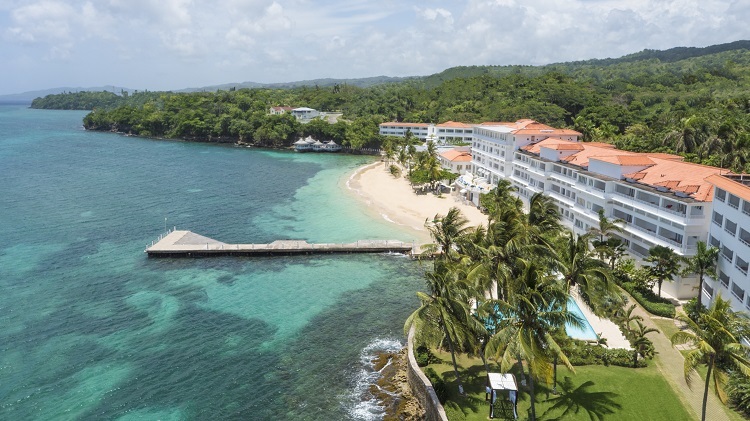 Experience an exotic beach vacation on the coast during your stay at the Grand Palladium Jamaica Resort & Spa. Travelers of all ages will love every resort feature from the expansive infinity pool to the list of land and water sports offered. Young guests can enjoy their own kind of fun at the kid’s and teen’s clubs while mom and dad enjoy time at Zentropia Spa & Wellness Center. Restaurants welcome you to savor bold international cuisines while each of the resort’s eight bars serves a selection of drinks in a setting to fit every mood. Retreat back to your suite whenever you crave privacy and downtime. Amenities like a hydro massage tub, in-room mini bar, Wi-Fi connection, and more make every moment of your stay relaxed. Book and SAVE on your vacation: Grand Palladium Jamaica Resort & Spa packages are available at All Inclusive Outlet. 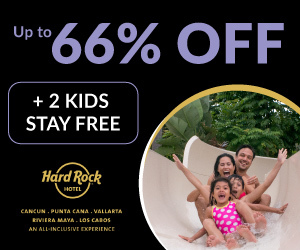 There’s a nonstop party for all ages at the Hard Rock Hotel & Casino Punta Cana. See what it’s like to live like a superstar in your lavish suite featuring a double hydro spa tub, furnished balcony, liquor dispenser, 24-hour room service, plus much more. Satisfy your cravings with authentic cuisines from around the world along with traditional plates, light bites, and homemade ice cream. Trendy bars are buzzing with energy and of course, a variety of top-shelf drinks to quench your thirst. Activities include 13 swimming pools, mini golf, the Music Lab, theme days for kids, shopping, and a fitness center. On top of everything, you can try your luck at the casino or spend an afternoon at the tranquil spa for head-to-toe pampering. 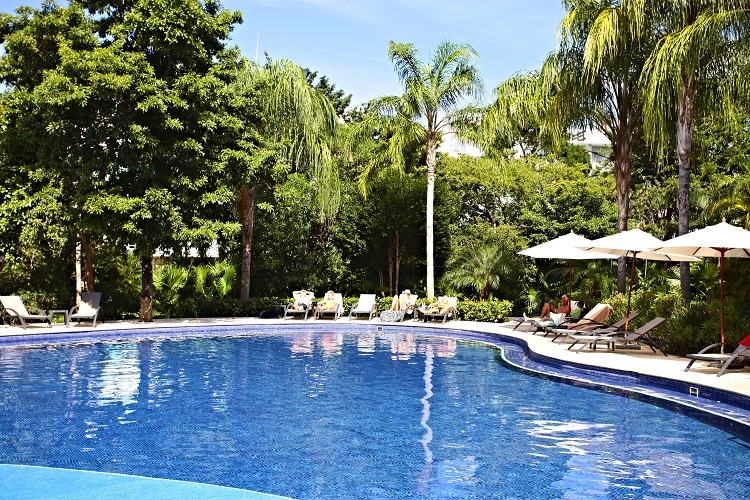 Escape to Mexico and find adults-only luxury at the Valentin Imperial Riviera Maya. The resort boasts elegant yet spacious suites where you’ll enjoy some of your favorite moments, whether you’re unwinding in your whirlpool bath or lounging with a drink on your furnished balcony or terrace. Stay connected with free Wi-Fi through the resort or unplug while you sunbathe on the beach or by the pool. Theme parties, wine and tequila tastings, sports, fitness classes, and live shows fill your days and nights with endless fun. 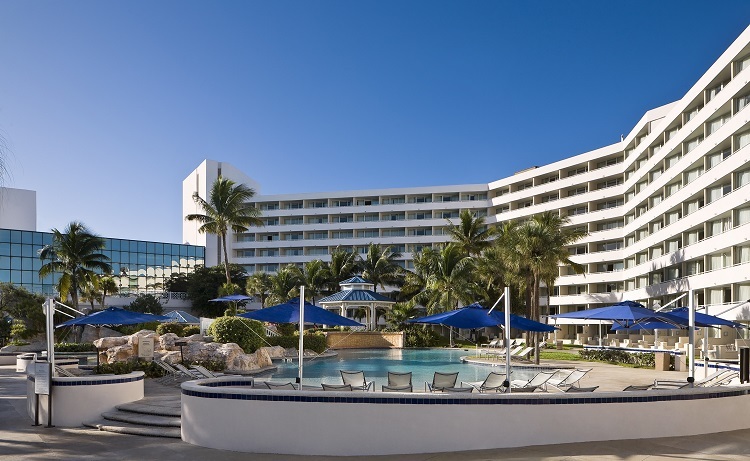 Dining options include show cooking stations, buffets, and a la carte restaurants while 11 bars including a beachfront bar and two swim-ups are always serving the refreshments you need. 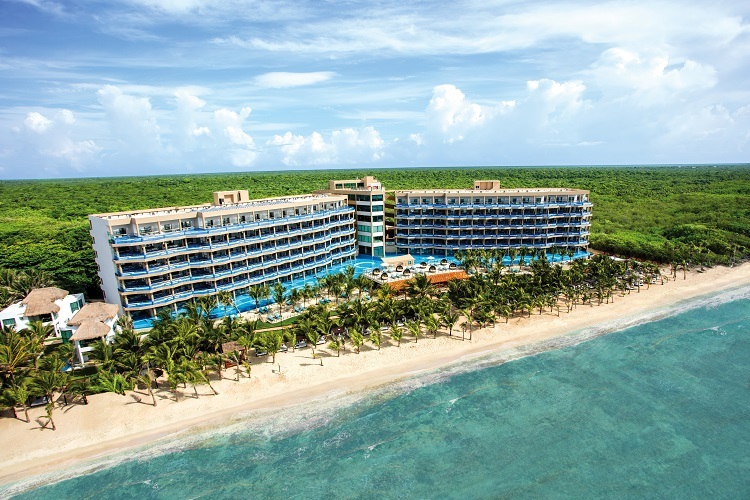 Book and SAVE on your vacation: Valentin Imperial Riviera Maya packages are available at All Inclusive Outlet. Romance is top priority for couples who desire a private seaside getaway in Jamaica. Couples Tower Isle makes certain every moment is picture-perfect, starting with lavish amenities and comforts in every room and suite. Take luxury up a few notches by booking an Oasis Spa Villa where you’ll have your own plunge pool and sun terrace, living room area, custom spa itinerary, personalized check-in, and private round-trip airport transfers. Wine and dine with your loved one over delicious meals made of fresh ingredients then hit up one of the bars for cocktails, martinis, and other beverages. Active couples will appreciate land and water sports along with fitness classes while couples who just want to enjoy each other’s company can lounge at the pool, Jacuzzi, or spa. Book and SAVE on your vacation: Couples Tower Isle packages are available at All Inclusive Outlet. With its signature Unlimited-Luxury® experience, Breathless Punta Cana Resort & Spa is for adults-only travelers who like to indulge. Accommodations feature Caribbean décor, deluxe amenities, and sweeping ocean, garden, or pool views from balconies and terraces. Pool and beach wait service and concierge service meet your every need. The resort’s lively atmosphere is great for activities like snorkeling, dance classes, movies on the beach, theme parties, tennis, and more. Dining is reservation-free so you can enjoy world-class cuisine, late night bites, and grilled specialties whenever you please. Plus, trendy bars and lounges are great spots for socializing and sipping on premium drinks. Book and SAVE on your vacation: Breathless Punta Cana Resort & Spa packages are available at All Inclusive Outlet. 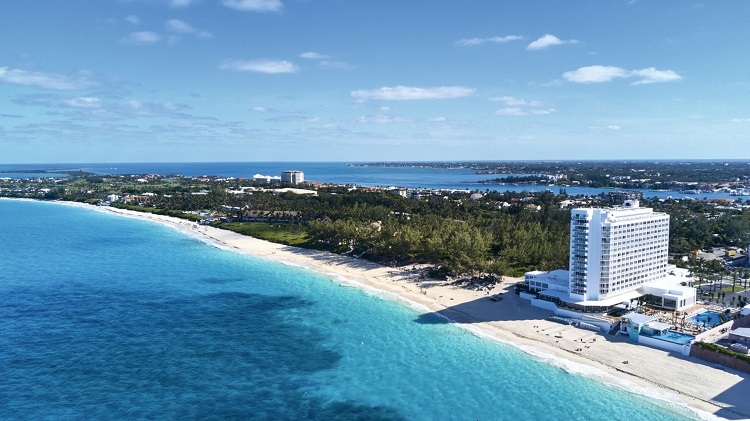 Experience an easy-going island getaway at Melia Nassau Beach in the Bahamas. Each room and suite features cool Caribbean tones to create a laid-back vibe where you’ll enjoy a comfortable stay. Feed your hunger with a juicy steak, fresh seafood, tapas, and the flavors of Mexico, Japan, and Italy. Sip on refreshing drinks on the beach or by the pool where you’ll also spend some much-needed down time. 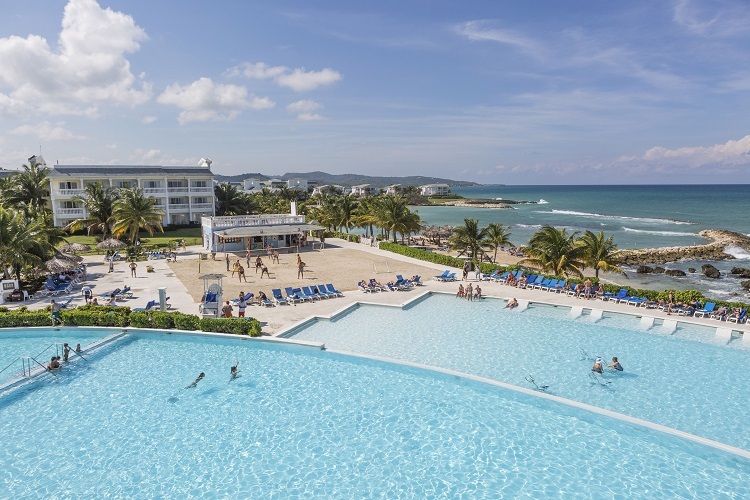 Activities and entertainment range from games and water sports to beach parties and karaoke, plus a kid’s club for ages 5-12 so everyone has a memorable vacation. Book and SAVE on your vacation: Melia Nassau Beach packages are available at All Inclusive Outlet. 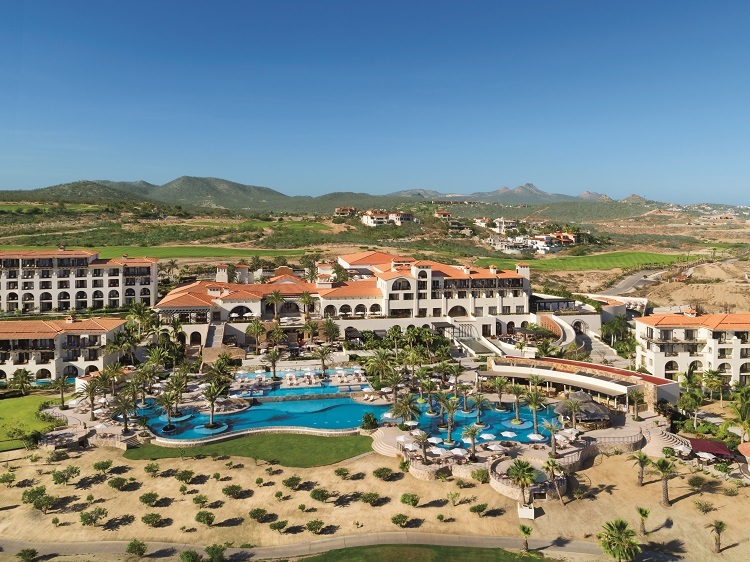 Secrets Puerto Los Cabos Golf & Spa Resort brings Unlimited-Luxury® to the Pacific Coast of Mexico. Enjoy the finer things in life on your adults-only escape, starting in your stylish suite showcasing beautiful garden or ocean views. Take full advantage of in-room amenities such as 24-hour room service, a whirlpool tub, pillow menu, Nespresso coffee maker, modern technologies, and more. Select room categories even feature direct access to the pool for added luxury and convenience. The resort offers plenty of daily activities and nightly entertainment, including a championship golf course right next door. Food and drinks are also part of the unlimited experience so you can enjoy international delights and premium beverage brands as often as you’d like. 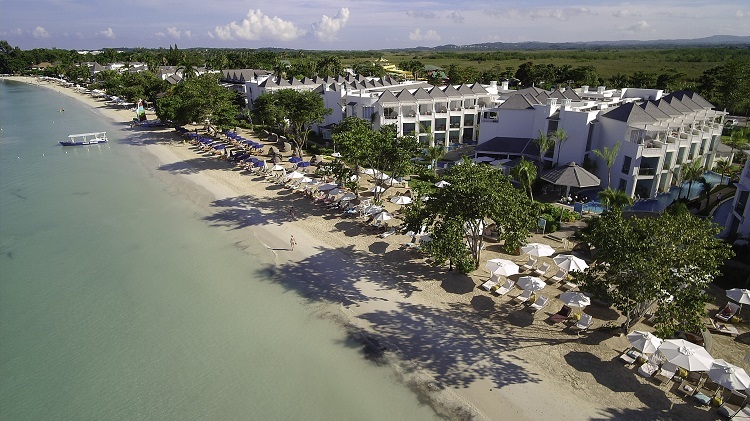 There’s nothing like all-ages luxury at Azul Beach Resort Negril, located on the world-famous Seven Mile Beach. The Gourmet Inclusive® experience allows guests to have the best of paradise for a completely relaxed and enjoyable stay. Comfortable suites can accommodate groups of all sizes, whether you’re a couple on a romantic getaway or a family in need of connecting rooms. Six restaurants, three gourmet corners, and multiple bars cater to your every craving, big or small. There’s always something to do around the resort, whether it’s yoga on the beach, rum tasting, pool volleyball, kayaking, among other activities. Parents will be pleased to know their young ones will find entertainment at the playhouse while toddler amenities like strollers, cribs, pack n’ plays, and more are also available. Book and SAVE on your vacation: Azul Beach Resort Negril packages are available at All Inclusive Outlet. These are just the key items that are included with your all inclusive price. Keep in mind that package inclusions vary by resort and may include restrictions not mentioned in this article. If you have questions about what’s included at your resort, especially if it’s a particular service or amenity, please reach out to an All Inclusive Outlet Travel Agent today so you can start planning your next beach vacation!